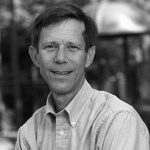 David Finkelhor, PhD, EdM, is the Director of the Crimes against Children Research Center, Co-Director of the Family Research Laboratory, Professor of Sociology, and University Professor, at the University of New Hampshire. He has been studying the problems of child victimization, child maltreatment and family violence since 1977. He is well known for his conceptual and empirical work on the problem of child sexual abuse, reflected in publications such as Sourcebook on Child Sexual Abuse (Sage, 1986) and Nursery Crimes (Sage, 1988). He has also written about child homicide, missing and abducted children, children exposed to domestic and peer violence and other forms of family violence. In his recent work, for example, his book, Child Victimization (Oxford University Press, 2008), he has tried to unify and integrate knowledge about all the diverse forms of child victimization in a field he has termed Developmental Victimology. This book received the Daniel Schneider Child Welfare Book of the Year award in 2009. All together he is editor and author of 12 books and over 200 journal articles and book chapters. He has received grants from the National Institute of Mental Health, the National Center on Child Abuse and Neglect, and the US Department of Justice, and a variety of other sources. In 1994, he was given the Distinguished Child Abuse Professional Award by the American Professional Society on the Abuse of Children, in 2004 he was given the Significant Achievement Award from the Association for the Treatment of Sexual Abusers, in 2005 he and his colleagues received the Child Maltreatment Article of the Year award, and in 2007 he was elected as a Fellow of the American Society of Criminology. Learn more about Dr. Finkelhor here.